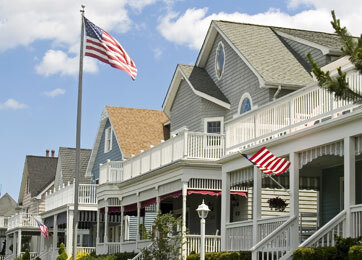 We are committed to supporting and serving the local community. Our Social Action Committee organizes events to help others in our community. You, your family and friends are invited to participate in our community events held throughout the year. 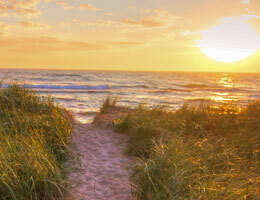 Watch for event announcements on our website. Check out what we've been up to including charitable fundraising efforts, scholarship awards and more! Our Social Action Committee raised money for the Egg Harbor Township VFW through donations made by staff to wear jeans on Fridays. All five branches were involved in this great fundraiser for three months, and after it was all said and done, a $600 check was donated to this amazing local organization. Promoting civic responsibility, patriotism, and supporting local programs in our community are just a few of the many ways the VFW gives back. 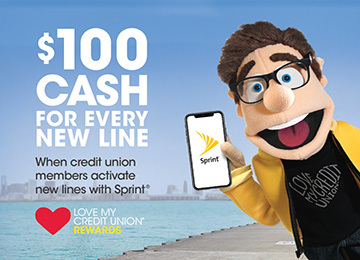 Jersey Shore Federal Credit Union could not be happier to support an organization whose main core value is to always put their members and community first, just like our credit union. 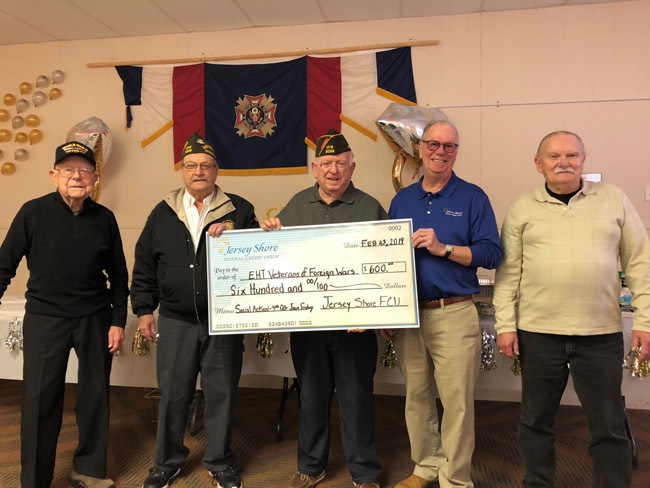 Pictured Left to Right: VFW Member and WWII Veteran Skip Ritchie, VFW Chaplain Gary Warrelmann, VFW Commander John Keyes, Jersey Shore FCU Board of Directors Chairman Jack Hickey, VFW Junior Vice Commander Michael Duffy. 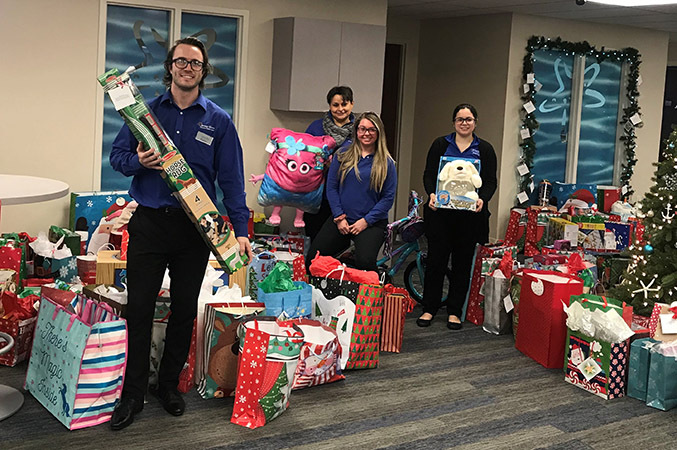 We would like to thank everyone that supported our Angel Tree Gift Drive to Benefit the Children at the Atlantic City Rescue Mission. Thank you for helping us spread some Christmas cheer to the children during this holiday season! 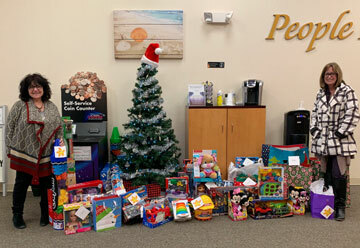 We would like to thank everyone that supported our Angel Tree Gift Drive to Benefit the Children at Family Promise in Cape May County. Your gifts brought joy to children that need it the most. Pictured (Left to Right) with the donated gifts are Kathleen O'Neill and Laurie Johnson from the Family Promise of Cape May. Credit union employees wear jeans on Fridays in support of local charities. 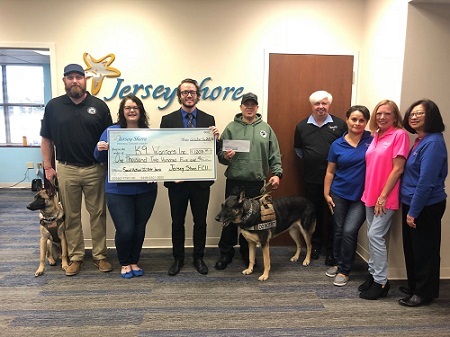 During the 2nd and 3rd quarter of 2018 we were able to raise $1,205 that was donated to K9 Warriors Inc of Galloway NJ! K9 Warriors Inc. is a local organization that is ran entirely by Combat Veterans that help support and train service dogs for other local Combat Veterans. To learn more about the organization you can visit their website. Thank you to everyone that participated in our Credit Unions For A Cure Team at the American Cancer Society Making Strides Against Breast Cancer Walk in Ocean City on October 14. Our Team raised over $3,200. Every step taken by our Team and every dollar donated will help ensure that no one facing breast cancer walks alone. 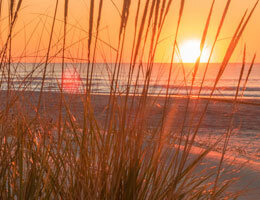 Check out our video highlighting our Credit Unions For A Cure Team in action. We joined together with other credit unions in southern New Jersey to collect donations of Kid-Friendly Food. When the school year ends, some children no longer have access to nutritious food. 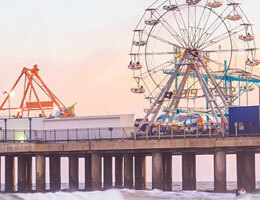 To combat this problem that is most prevalent in southern New Jersey, a Kid-Friendly Food Drive was held throughout May and June. 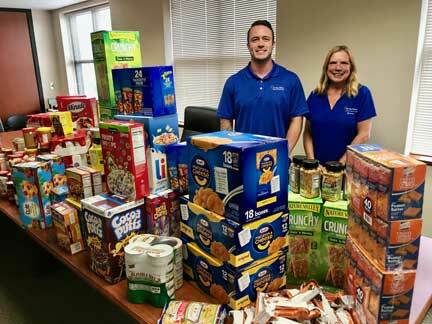 Brandon Favro and Jeannie Straub from Jersey Shore Federal Credit Union’s Social Action Committee pictured with some of the donations collected during their recent Kid-Friendly Food Drive. 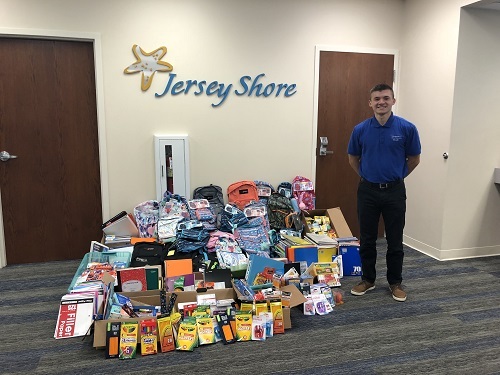 Staff and members of Jersey Shore Federal Credit Union donated backpacks and school supplies to the Lower Township School District for the 2018 – 2019 school year as part of our Tools For Schools Drive. We were able to collect an incredible amount of necessary school items as well as over 100 backpacks. Thank you to everyone who participated! 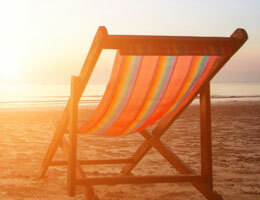 We are excited to announce the recipients of the various Scholarship Programs. These students have demonstrated academic excellence, community service, and participation in sports or clubs, where many held leadership positions. Mary Theresa Growney from Haddon Heights attended Paul VI High School and was awarded a $1,000 New Jersey Credit Union League Youth Involvement Board Scholarship. She will be attending the Fashion Institute of Technology in New York City in the fall majoring in Advertising and Marketing Communications. Mary said her family has been banking with Jersey Shore Federal Credit Union since her Granddad opened an account over 60 years ago and appreciates this opportunity. Justin Smith from Wildwood attended Wildwood High School and was also awarded a $500 Benson/Hunt Scholarship. He will be attending Drexel University majoring in Mechanical Engineering. Justin was honored to win the scholarship and said he likes the flexibility and ease Jersey Shore offers compared to other institutions. It will be easy for him to do his banking, even when he’s out of the area. Jersey Shore Federal Credit Union sponsored Financial Reality Fairs at Alder Avenue Middle School on May 19 and Fernwood Avenue Middle School on June 1. A Financial Reality Fair is a fun, interactive one-day event that allows students to get a feel for real-life budgeting and understand the importance of saving and spending wisely. After choosing a career and finding their starting salary in that field, students were provided a personalized monthly budget worksheet. They then pretended to go through "life”, stopping by booths to purchase cars, rent homes, finance furniture, etc. Students then spun the Wheel of Reality, a wheel that could either help or hurt their finances with real-life situations such as having to pay for car repairs or receiving a bonus at work. Financial Counselors took time with each student at the end of the Fair, going over the students’ monthly expenses and one-time purchases, offering advice and guidance. Their goal for the Fair was to stay within budget and have money left in their pockets after paying all their bills for the month. Jersey Shore Federal Credit Union brought the hands-on learning experience of Financial Reality Fairs to the schools at no cost, allowing nearly 600 students to participate. Pictured: Jersey Shore Federal Credit Union Employee Brandon Favro helped students from Alder Avenue Middle School compute their budgets. We are happy to announce that the 2018 Jersey Shore FCU Employee Of The Year is Mrs. Jeannie Straub. Jeannie is an outstanding employee and her contribution to everything the credit union has done this year has been incredible. She is committed to helping our community as she heads our Social Action Committee and is a big part of our local outreach. Jeannie is always looking for ways to go above and beyond with every project and task she is given and we are so happy to have her as part of the Jersey Shore FCU family. Jersey Shore Federal Credit Union President/CEO James Burns received the New Jersey Credit Union League’s 2018 CEO of the Year award at the League's 84th Annual Meeting and Convention on October 22. 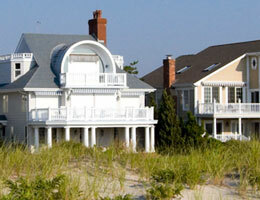 This award recognizes the excellent work of one credit union CEO from the state of New Jersey. 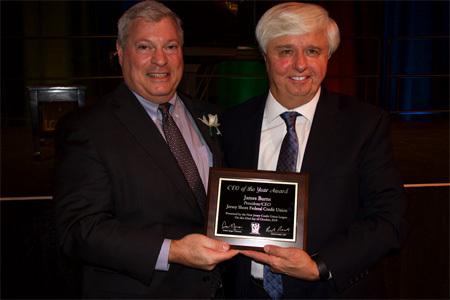 Pictured Left to Right: New Jersey Credit Union League President/CEO David Frankil presents Jersey Shore Federal Credit Union President/CEO James Burns the 2018 CEO of the Year Award.